Christmas is a time for bringing people together and enjoying the company of our family and friends. It’s a time to slow down and enjoy the wonder of the season. One of the ways Scentsy celebrates is by stringing thousands of lights around 450 trees on the Scentsy Commons campus in Meridian, Idaho. This year, there are approximately 724,000 lights — about 43 miles’ worth! It’s such a sight to behold, and we want everyone to share in the joy. At Scentsy, we talk a lot about family and how our Consultants, customers and employees are all included in one, big, extended family. Our Idaho community is no exception. 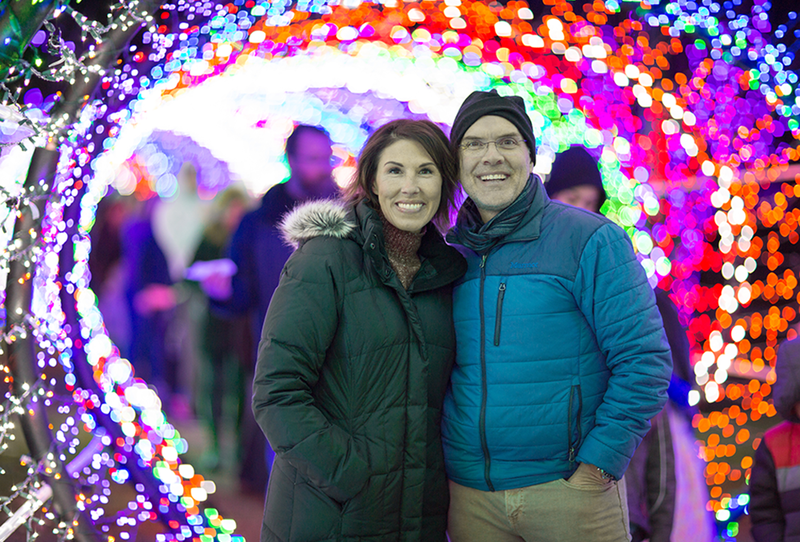 To bring the community together, we hosted a two-night Point of Lights celebration at Scentsy Commons. In addition to the lights display, the free public event also featured a live Nativity, visits from Santa and Clyde the camel, choir performances, as well as hot chocolate and cookies. For the second year in a row, the turnout was more than we ever expected — with an estimated 5,000 people in attendance each night. The Christmas spirit was contagious. On Christmas and always, we hope there is light in your life! Merry Christmas! Separator image Posted in Scentsy Spirit.